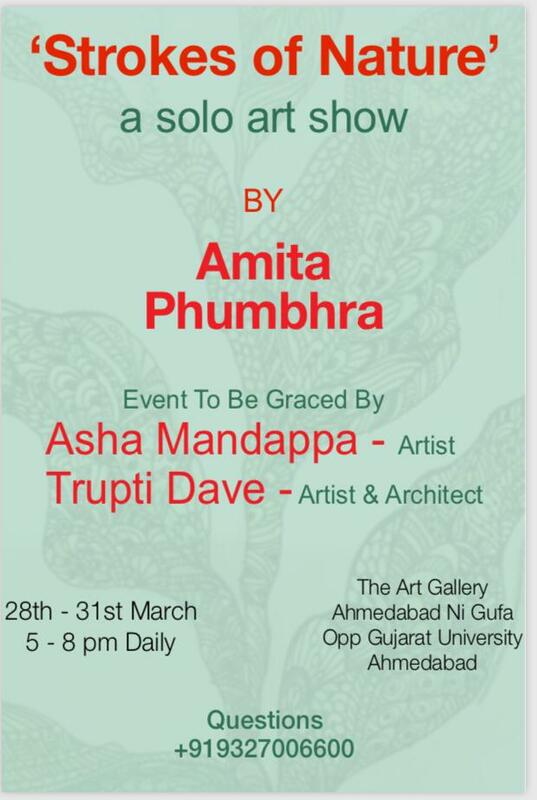 The Art Gallery, Amdavad Ni Gufa, Opp Gujarat University, Ahmedabad. Strokes of Nature – A solo art show by Amita Phumbhra. The event to be graced by artist Asha Mandappa and Architect Trupti Dave.